Democrats Abroad represents the margin of victory in dozens of close races coming up in 2018. Democracy is counting on us. 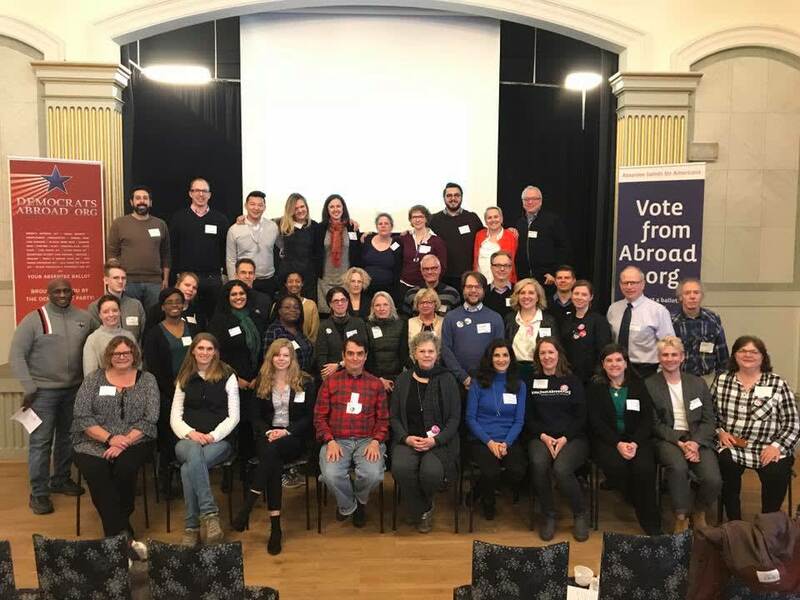 Global Chair Julia Bryan delivered this inspiring message to an enthusiastic audience at the first-ever Democrats Abroad Nordic Summit last weekend in Malmö, Sweden. I’m pleased to announce that the meeting was a big success on all three accounts. We started the day off with quick introductions of each participating country chapter (CC). It was inspiring to learn about one another’s successes and challenges, to compare notes a bit. From there, attendees received important info and tutorials on Voter Registration and Phone Banking. I was honoured to present a talk titled Ready to Reframe: Approaching Nordic Issues in American Politics. 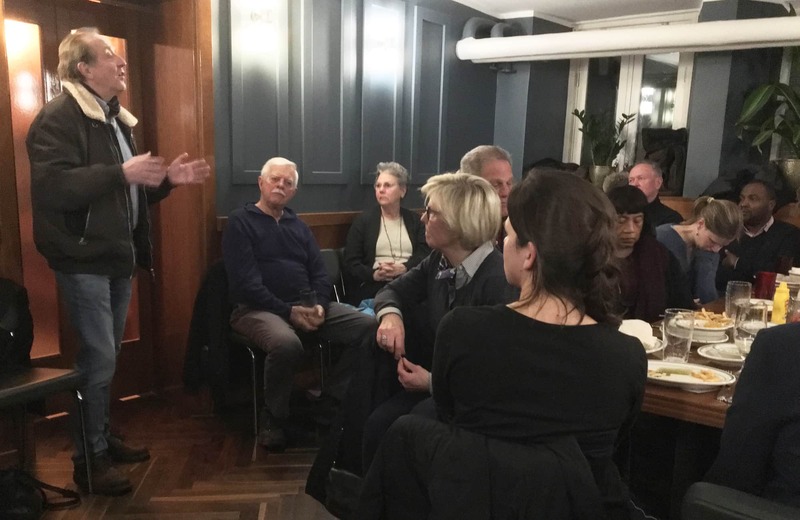 And Julia Bryan presented an update on Tax Issues for Americans abroad, as well as a keynote speech that included insights on her recent door knock on capitol hill. 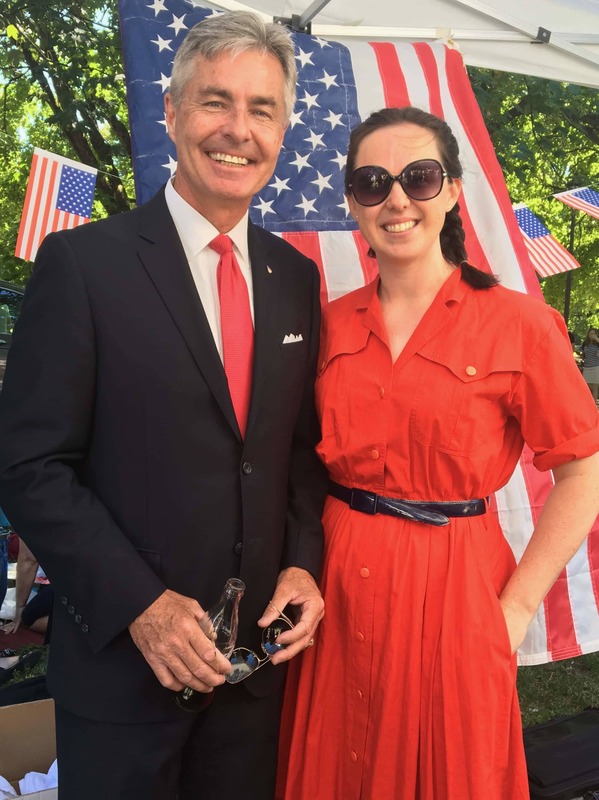 This event began as a “Scandinavian Summit.” Then, in the planning process, we extended an invitation to Democrats Abroad living in Finland, who have been interested in forming their own CC. Three of them showed up on Saturday! They wanted to see how DA works as an organization. They wanted to understand how the CC’s help one another to succeed in registering voters and educating the public on the issues. I’m proud that our Nordic Summit—as we immediately rebranded it—could reinforce these ideas. I want to thank Alex and Kim for all the hours of brainstorming and planning, their good ideas, their willingness to listen and pivot. We made a good team. And we couldn’t have done any of it without Alex Arcelay, Chair of the Skåne chapter in Sweden, who diligently found a venue and organized the logistics, then helped the day run smoothly. Like many people, I only jumped into organising and activism after Donald Trump was elected. That tragedy was my personal catalyst. 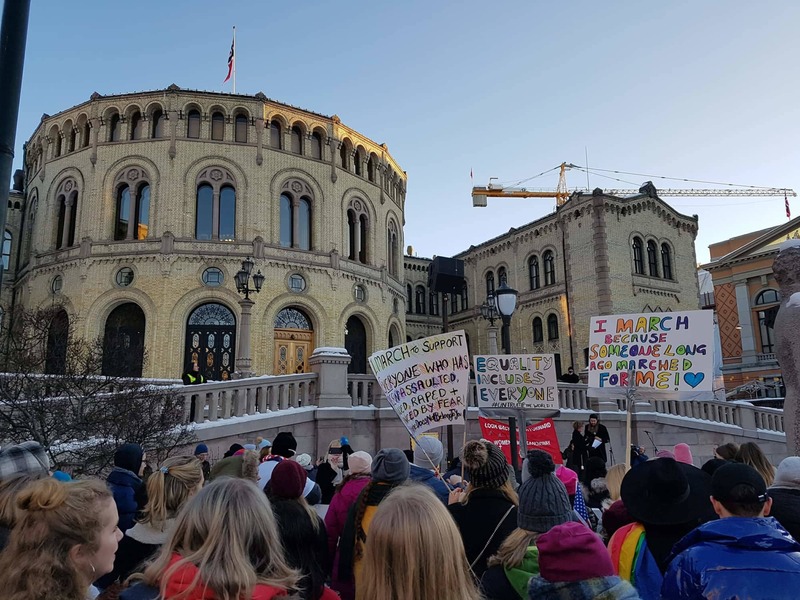 It also turned out to be a catalyst for the Women's March, the March for Science, the March for our Lives (Saturday, 24 March in Oslo, too), and dozens of other demonstrations and movements. These are remarkable showings of solidarity. We hope that sheer numbers will hold our elected representatives accountable. They might. But the most tangible change we can make in any election is the casting of our own ballots. That's what Democrats Abroad is about. Given what I learned at the DA Nordic Summit last weekend, I think we're in good shape to continue reaching our voter registration targets. Americans abroad have the unique opportunity and responsibility to be the margin of victory in some close midterm races. Our efforts can make the difference and flip a few seats our way, or at least scare the hell out of complacent Republicans. 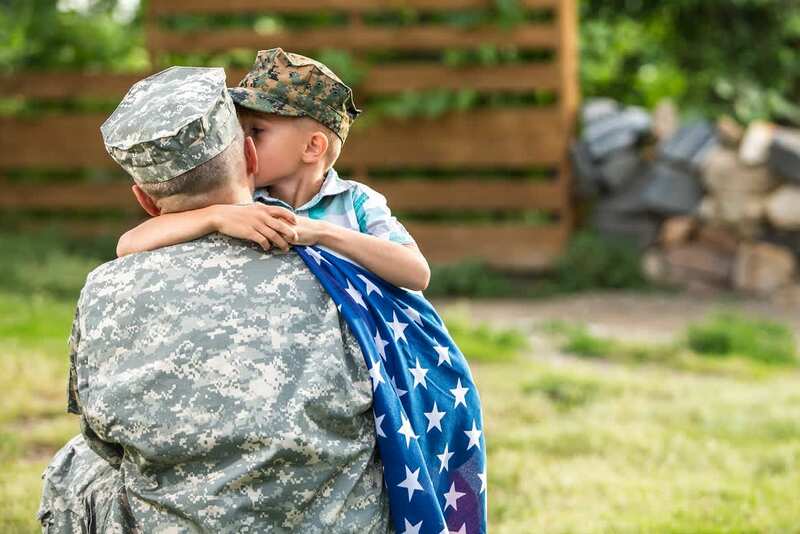 Now more than ever before, I think we can do this together. 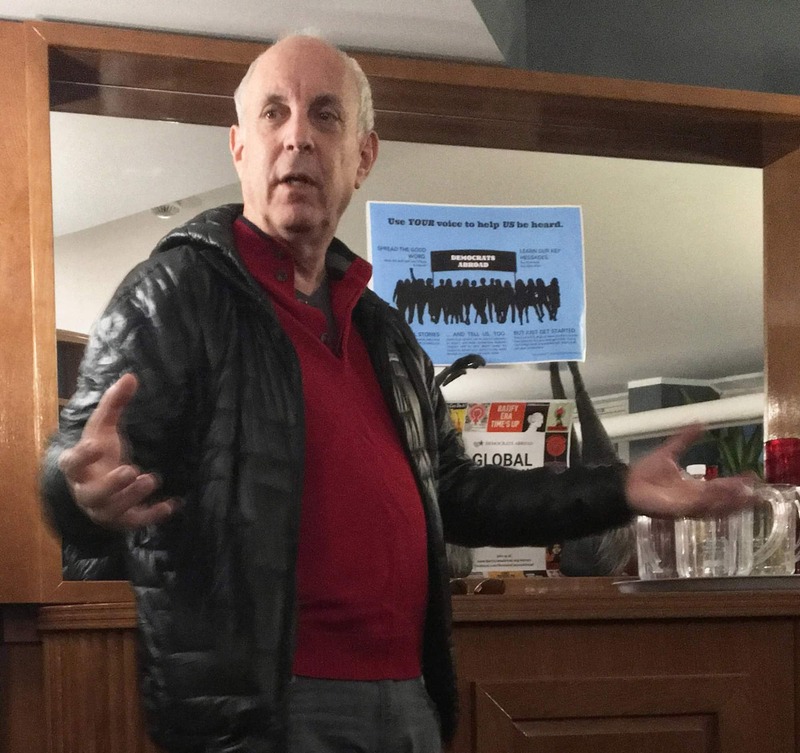 Join us at our next event and help take back the House! A starling is a small songbird. She is mud-colored with a hint of purple or teal, but only if she twists to catch the light. When she’s working, feeding her babies or building her nest, she sometimes forgets to do that. Life isn’t usually about poetic twists. Most of the time, it’s about blending with the bushes and avoiding predators. The starling is often mistaken for a common blackbird. People don’t notice the smattering of light freckles across her chest and the back of her neck. Alone… one starling is unremarkable. But sometimes, thousands of starlings suddenly take to the sky. Their miraculous dance—a black cloud of swells, shifts, swoops, soars—stops every witness in his tracks. Then it’s called a murmuration. A lot has happened since the first Women’s March in 2017. That organic response to the election of Donald Trump inspired millions of women around the world to rise up against institutionalized sexism, misogyny, and prejudice of all kinds. It inspired men to understand the role they play in this fight for human equality. 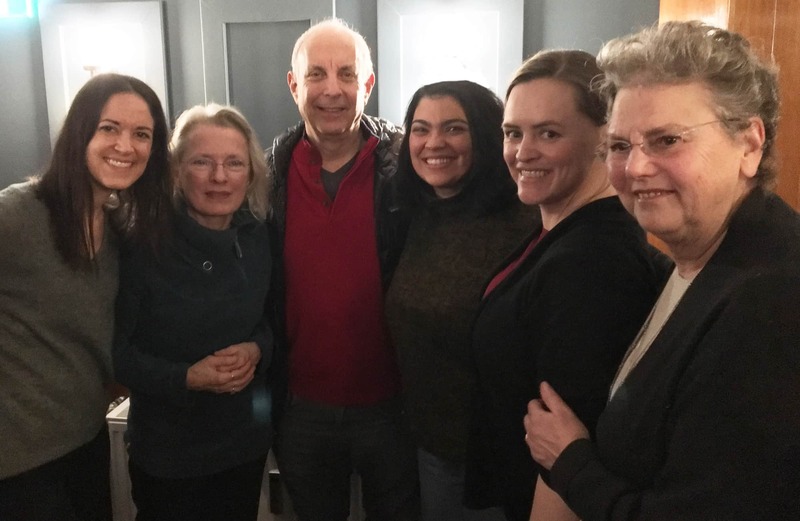 The movement was and is about voices: that single voice raised improbably against the machine; the strength of many voices rising together around the words #metoo. 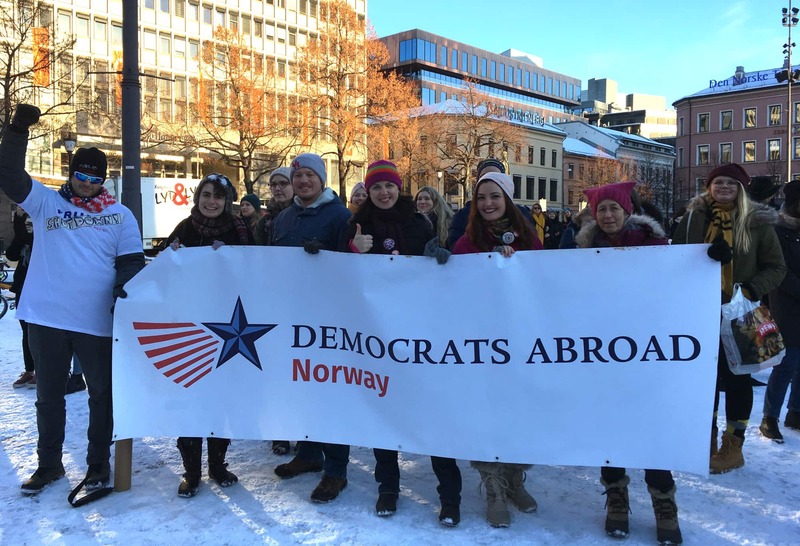 Our chapter of Democrats Abroad was proud to support Women’s March Norway in their anniversary event this weekend. It was a bright, cold day. 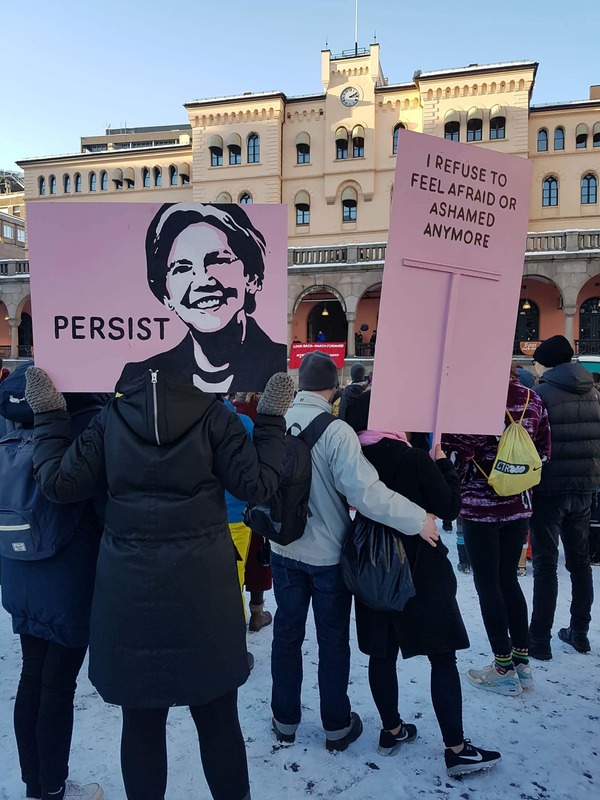 WMN Founder Brit-Agnes Sværi invoked Oprah’s recent battle cry—Time’s Up!—and was met with a thunder of mittened applause and boots stomping in the snowy square. We’d come together with thousands of Norwegians and other internationals to object to Trump’s inauguration. Enough was enough. We decided that if there was anything at all we could do to fix the fault in our home country, we would do it. 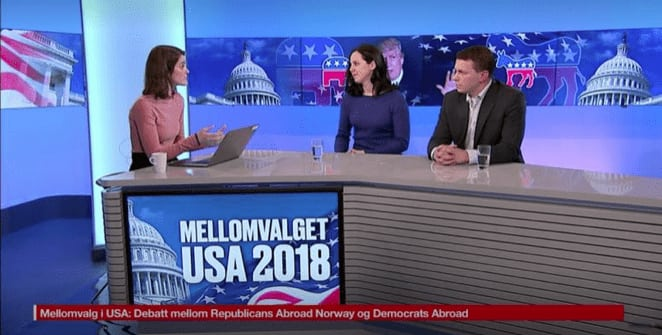 Serving our fellow Democrats Abroad in Norway as elected officers still seems like a good fit. Our whole board feels that way. Lots of us made it out to the march this year. Thank you to everyone who helped us carry the DAN banner through the streets from Youngstorget to Stortinget. Thank you also to all who volunteered to help with security and social media and set-up and clean-up. We were well-represented among the reflective-vest crew, and that warmed my heart. 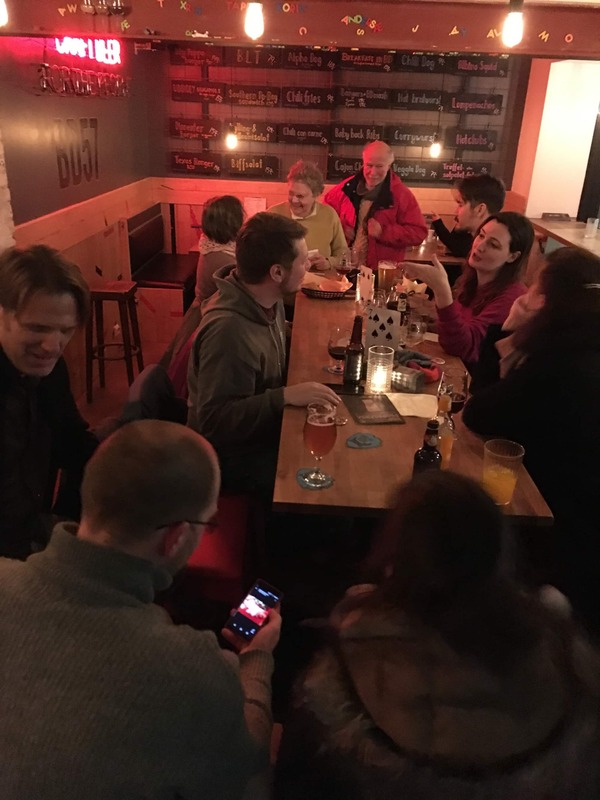 It was also a treat to have so many Dems and friends join us at Brewdog in Grünerløkka afterwards for post-march beers and invigorating conversation. 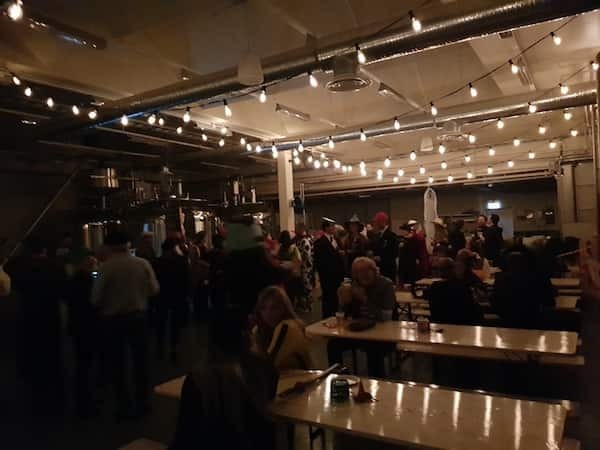 This little Drinking Liberally Oslo field trip was a big success, and we hope to see you all again at the monthly DL event on Tuesday the 30th of January. It’s time to beat the drum and bring in votes for the 2018 midterm elections. Make sure you register to vote today! And if you know an American abroad who doesn’t think his or her voice matters in these dark days, please put them in touch with us. We aren’t just out to right the wrongs; we act locally to make the world a better place. Together, everything feels possible. Once again, the Women’s March has caused me to meditate on a single word: swarm. Republican politicians use “swarm” to denigrate immigrants, for example. For them, swarm implies a hoard, an unstoppable wave of vermin, disease, decay, termites hollowing out the foundations of their homes, “takers” and “leeches” and “welfare queens” and all the rest. So, let’s look at the word “swarm” again. As a murmuration. For some, it’s hard to quantify the achievements of the Women’s March. But the anniversary reminded us not to underestimate the mighty beauty of the swarm. Determining the definition of words like this one is up to us. Republicans may be the ones with the bully pulpit, but we’re the ones with the bullhorn. And we know that a swarm can also be a murmuration. When a stippled star opens and closes like that, it contains enough power to blow a hole in the universe. What do you mean, this happened to me? and not one f*cking word from the man who is president. Be a voice for all those who have prisoner tongues. 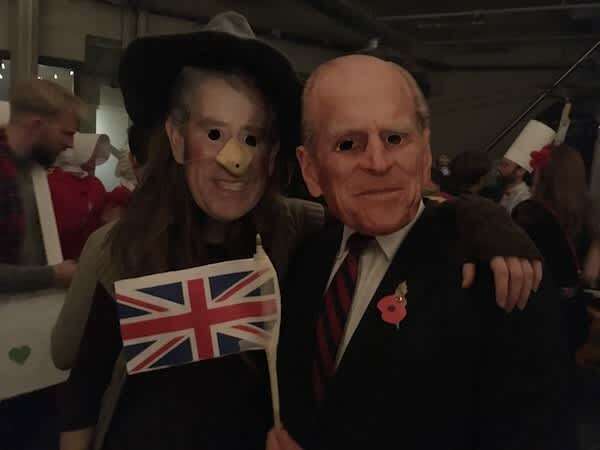 A zany and delightful cast of characters gathered at Siste Sang Bryggeri in Grønland on Saturday night. DJ Rude Lead spun classic American funk, peppered with a few Halloween classics. And everyone--from the Statue of Liberty to Hermione Granger to a bunch of grapes--came to party. 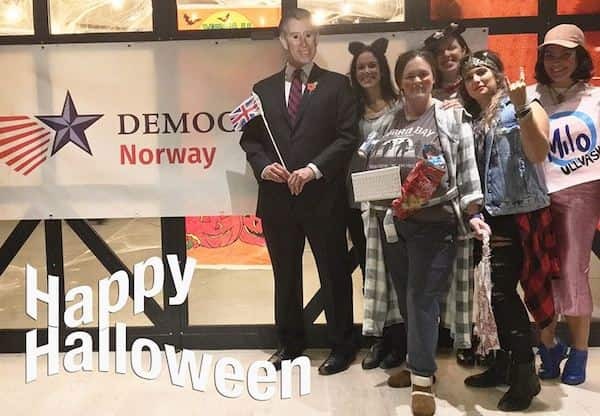 Thanks to these fun-loving folks, DA Norway's first annual Halloween Costume Party Fundraiser was a big success! We drank good beer, ate delicious food, loaded up on American candy, and grooved to the funky music until the clock struck midnight. 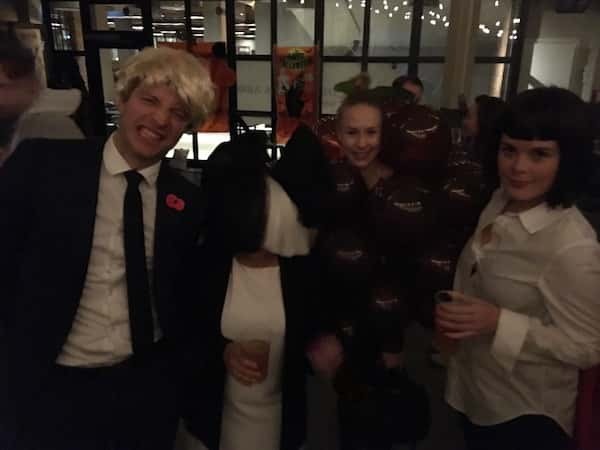 With just a little coaxing (and a little more alcohol), our guests hit the catwalk for the costume contest. 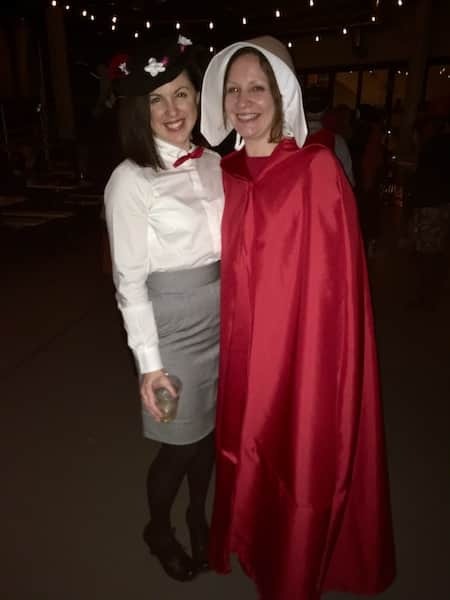 Bunnies and Mad Hatters and scarlet-caped Handmaids strutted to resounding applause. The Swedish Chef polska-ed this was to the Grand Prize, dinner for two from our friends at Oslo's Nighthawk Diner. 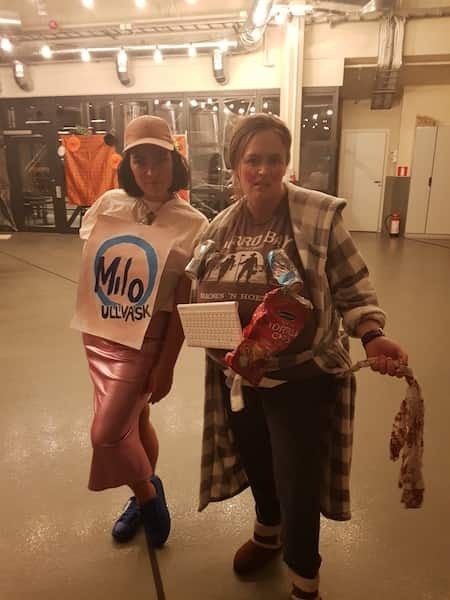 The event raised more than 8,000 NOK. The money will kickstart DA Norway's upcoming expansion project. In anticipation of the midterm elections, we will run a major membership drive throughout Norway in 2018. 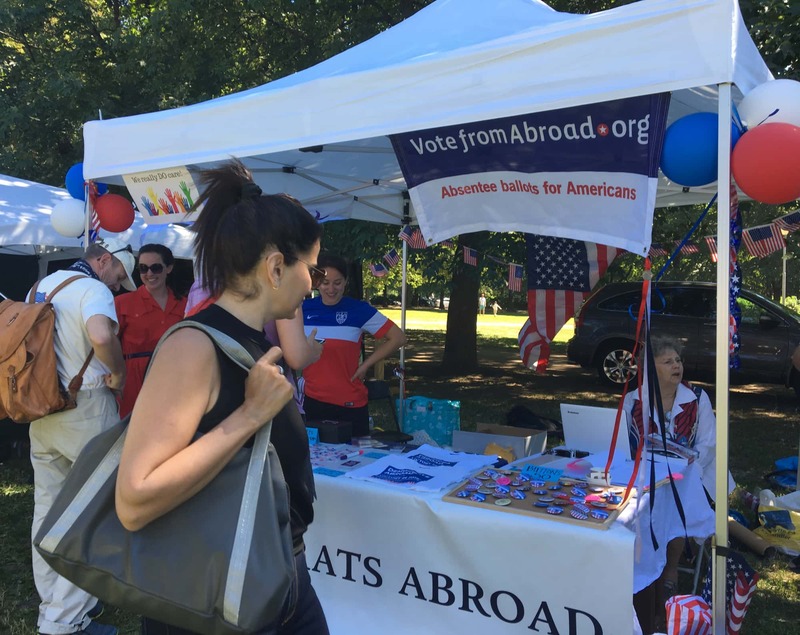 We're here to provide Americans abroad a Democratic voice in our government and elect Democratic candidates by mobilizing the overseas vote. Thank you to everyone who purchased a ticket for contributing to this important effort! We also couldn't have done it without some key players. Mike Rawson and the guys and gals at Siste Sang were fabulous hosts. Special thanks to Barbara Ødegaard for being generous with her time, network, and brownies. Other dedicated DAN members donated food and decorations, and some arrived early to help us set up for the shenanigans. Finally, all the DAN Board Members dedicated themselves to this project over the last few weeks. What a whirlwind! 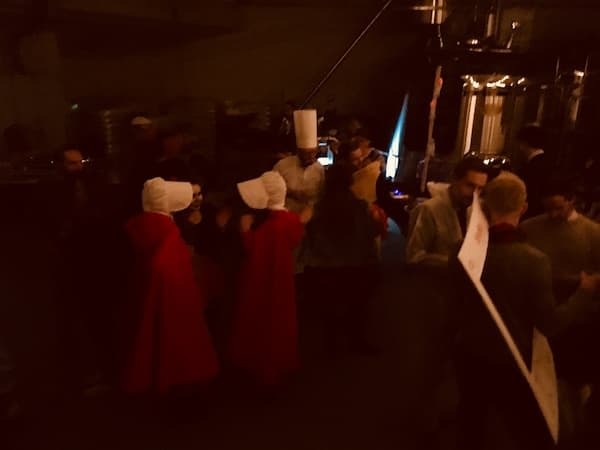 Costumes and candy are pretty excellent diversions on these dark days with the news coming out of Washington. We hope you'll all join us next year when we throw another Halloween bash.